EVANESCENCE, have released the new video “Imperfection,” out today,HERE. Shot on location in Los Angeles last month with director P.R. Brown, the song is the first single off the group’s fourth and most ambitious album to date, SYNTHESIS, set for release November 10. 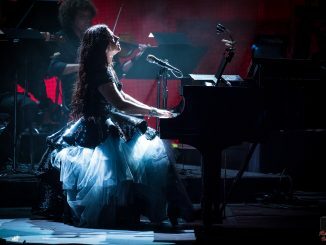 The album is a reimagining of some of EVANESCENCE’s best-loved songs-as well as a couple of new ones–recorded with a full orchestra and electronics combined with the band and AMY LEE’s virtuoso piano and voice. Watch the behind-the-scenes video story and band interviews from Revolver magazine, HERE. 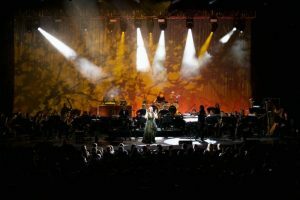 EVANESCENCE have just launched their U.S. and Canadian “Synthesis Live” tour–which features AMY and the band embedded with a live, 28-piece orchestra and electronic programming delivering a transcendent experience. With only three shows behind them, the critical acclaim is already pouring in for this unique concert event. 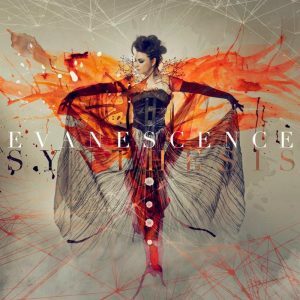 Tickets for EVANESCENCE’s“Synthesis Live” fall tour (see all dates below) are on-sale now (here). 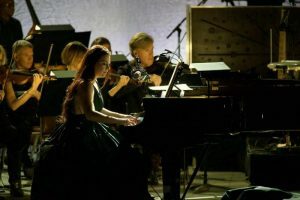 On SYNTHESIS, EVANESCENCE–lead singer-songwriter and pianist AMY LEE, bassist TIM MCCORD, drummer WILL HUNT, lead guitarist TROY MCLAWHORN and guitarist/background vocalist JEN MAJURA–worked with co-producer/programmer WILLIAM HUNT and orchestra arranger and composer David Campbell on SYNTHESIS. 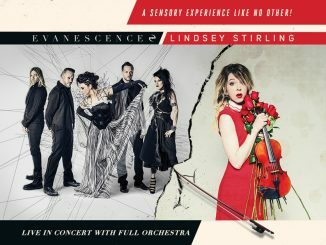 The album also features two newEVANESCENCE songs, including the first single “Imperfection” and “Hi-Lo,”the latter of which includes a guest performance by famed violinist Lindsey Stirling. Both Standard CD & Digital versions of SYNTHESIS are available now for pre-order (here), in addition to a limited-edition deluxe box of the album, which includes the CD, a DVD featuring a documentary on making the album as well as instrumental and 5.1 Surround Sound mixes of the songs.